With summer holidays and busy lives, I wouldn’t expect many to notice that BIYC has been quiet for six weeks while I’ve been working for a German client and living in Frankfurt. I don’t know what it says about me that I have fallen head-over-heels for what many regard as the dullest city in Europe; but, I confess I find Frankfurt beautiful and captivating. I’m sad to leave her behind as I return to the States in a few days. I can’t say much about what I’ve been doing; but, it felt like a graduate course in corporate (and European) thinking respecting electronically stored information, privacy, regulation, litigation and the challenges faced by global business in identifying, preserving and producing ESI. For all we tout “information governance” in articles and conferences, the global reality is that functional info gov is as rare as a good hair day for Donald Trump. Even in industries where data retention is strictly regulated and extensive—like securities trading and banking—information implicated in discovery clumps and clusters hither and yon—some encrypted, some not—on legacy systems and media, as Notes mail and Exchange mail, within archives and hundreds of specialized applications and structured databases, as voice recordings on incompatible systems and loose documents on network shares. But, these are mere technical hurdles, small next to the challenge of complying with internal corporate and IT policy, cross-border privacy laws and the risks and costly consequences of outsourcing IT. All of this could be managed—even efficiently and cost-effectively—were it not for the knowledge gap that exists between the lawyers who demand and direct the work and those who do the actual preservation, collection and culling. I spend most of my time talking to lawyers and litigation support about e-discovery and computer forensics. They know why ESI is potential evidence in lawsuits and regulatory investigations. I needn’t define or explain “discovery,” “requests for production,” “subpoenas” or “depositions of corporate representatives.” Even my law students have completed a course in civil procedure. By contrast, it’s a mistake to assume that anyone but litigators and litigation support understand the goals and mechanics of regulatory enforcement or litigation. Worse, lay people often harbor patently wrong ideas about the justice system of their home country, let alone those of other countries. This is true of everybody on the organization chart, from the least-senior IT guy to the CEO, and even some in the legal department. It sounds silly because it’s so obvious; but, if you want e-discovery to work, instruct the people doing the work what they are doing and why. You can’t just leave it to the lawyers (who honestly have their hands full grappling with what they don’t understand about the business and its information systems). Simply put, e-discovery can succeed without lawyers becoming business people or technologists and without business people and technologists becoming lawyers; but, it is prone to fail when each do not grasp a few fundamentals of the others’ ambit. What are the principal differences between criminal prosecution and civil litigation? What is “discovery,” and what can be discovered? What are the five tools of discovery in U.S. civil litigation? What is the scope and what are the limits of discovery? What procedural tools do lawyers use to resist and compel demands for discovery? What can you refuse to hand over in discovery, and on what grounds? What are preservation duties? When and where do they apply? What are the legal and practical consequences of failing to preserve? What is a deposition of a corporate representative, and who should speak for the company? How much time do litigants have to propound and respond to discovery? What does discovery cost, and who pays for it? What is the division of responsibility and accountability between lawyer and client in discovery? What are the principal differences between U.S. discovery and U.K. disclosure obligations and practice? These are just the questions that occur to me. Note that none of them speak to e-discovery or ESI. They address discovery fundamentals that transcend the form of the evidence. I hope, dear reader, that you will let me have a crack at the questions that matter most to you by sharing them as comments to this post. My hope is to publish a free primer on discovery fundamentals that can guide those without legal training as we struggle together to make information governance and practical e-discovery a reality. Danke schön und auf wiedersehen. I am a long-time reader who is not bright enough to comment on or discuss e-discovery and the other topics you discuss (I’m here to learn, of course). But your post reminded me of family history — my grandparents are from Frankfurt, and my father learned German as a toddler while living there. (My great-grandparents ran small a wrought-iron shop there.) My only connection is a hand-crafted beer stein made for my 18th birthday … but your post did remind me to call my father today! Keep posting & keep educating us! It just so happens that, while here, I learned that my great great-grandfather and great great-grandmother were also from Frankfurt (in the Taunus Mountains, a few kilometers north). Maybe we’re cousins! You need to come put that hand-crafted beer stein to good use. The beer here is wunderbar and (literally) cheaper than water. You can leave with a hand-craafted apfelwein jug, too. Always great to review the basics! How about adding the Records Retention Policy and how it effects document search, responses, and legal hold? 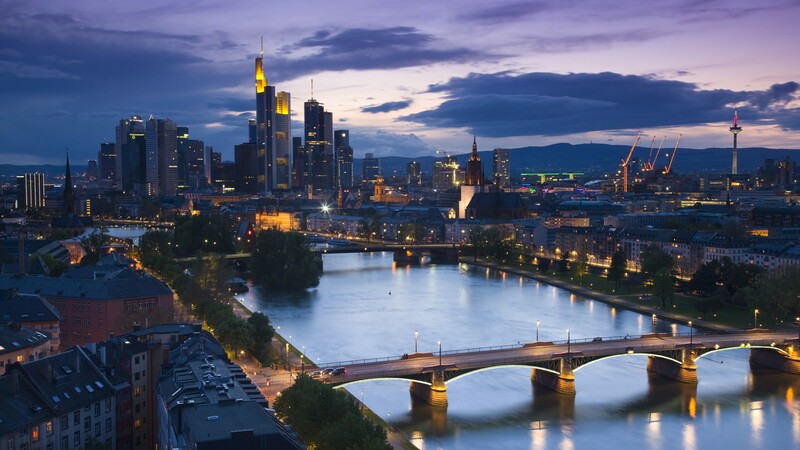 Hi Craig, I am a big fan of Frankfurt too. I was in the Air Force in Berlin in the 70s and the duty train took us through east Germany to Frankfurt and freedom – to explore the rest of Europe. They even had private tubs at the Frankfurt airport you could rent for a short time if you had a layover. I discovered the German white wine is even better than the beer. Prost!